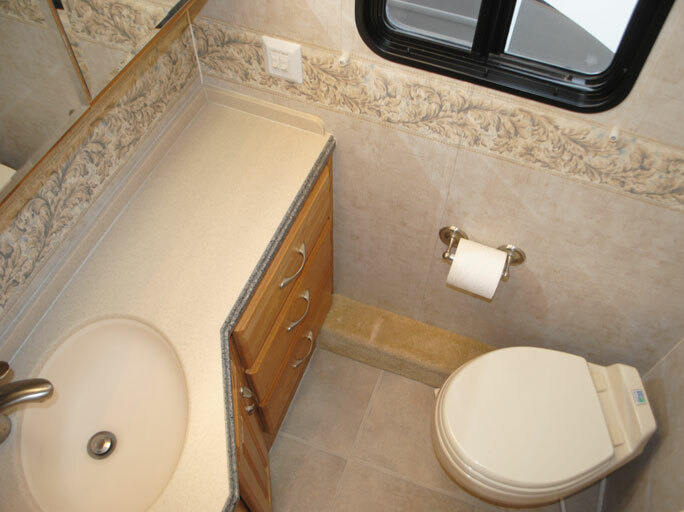 / Buying an RV to Live In…What They Didn’t Tell You. Once you have a floor plan, take a hard look…no, make that a good sit down evaluation of the furnishings. 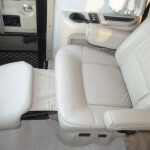 Like anything that doesn’t fit, you’ll not wear it…the same holds true for RV furniture. 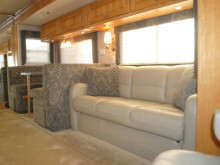 After buying an RV to live in, you might find that the couch, recliner, dinette and chairs included with your rig are not comfortable for your body type. We’ve met so many who can’t sit comfortably or get on or off the furniture because it’s not ergonomically suitable for their physical abilities or body type/size. You may find that the optionally available furniture is better suited, but it often comes at a higher price. This could easily boost the price of your rig from within your fiscal means to way outside of your budget. It’s a good thing to look at other models offered by a manufacturer, as they often have higher end models where the optional furnishings are standard. Test them out before deciding to upgrade to the optional pieces. 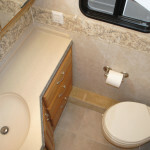 Let’s not forget the bathroom/lavatory either. If the throne is too small and it’s placed in a space that’s more like a closet, you’ll find it uncomfortable and claustrophobic. If the shower/bath is too small to turn around or have ample room to move your limbs to wash properly…you’ll certainly not be satisfied with it. 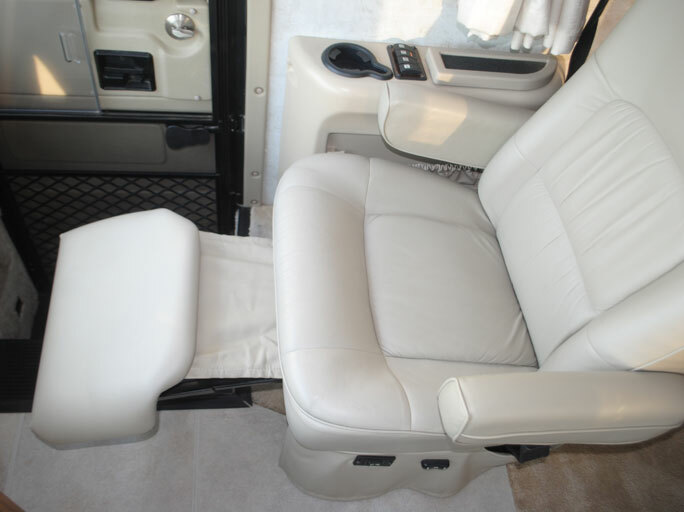 You’re going to spend a great deal of time inside your rig sitting, sleeping and just living, so make certain that it’s something you can do comfortably – otherwise you’ll have regrets about your purchase and possibly even the lifestyle. I know it’s hard to focus on the practical living aspects of buying a new rig, but if you don’t, you’ll find yourself looking to trade, sell or remodel shortly after purchase…and that may not be feasible. When you find that perfect floor plan spend an hour or more sitting inside the rig while you test run the furniture and ponder what life will be like inside. It will be time well spent!